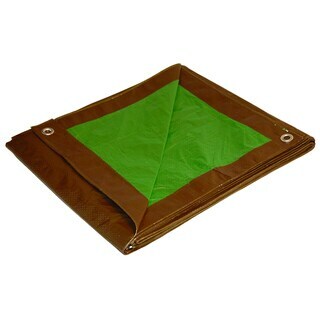 Poly tarps are available in a variety of colors, including blue, white, green, silver, red, and tan. Waterproof poly tarps, or polyethylene tarps, are widely used as an inexpensive and reasonably lightweight cover material for all kinds of things. If the tarp will be exposed to the sun, it must be coated with an ultraviolet (UV) light resistant coating, since polyethylene breaks down rather quickly when exposed to sunlight, becoming brittle and losing its strength and waterproof properties. There is a wide range of common weights and strengths of poly tarps, and it can be a bit confusing when you are trying to decide which one to buy. 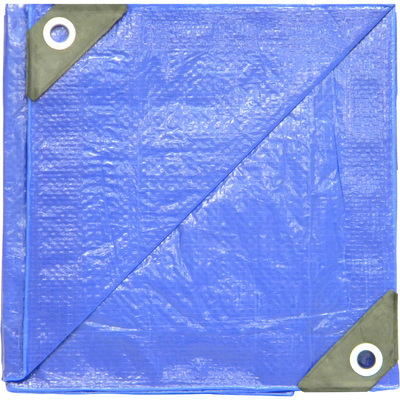 A 10 x 10 poly tarp with grommets might cost only a few dollars, or it might cost $15 or $20. Why the difference? As usual, the answer is that you get what you pay for. Stores charge more money for a heavier, stronger poly tarp fabric, and they charge more for special colors, clear poly tarps with nylon threading, or poly tarps with quality UV resistant coatings. 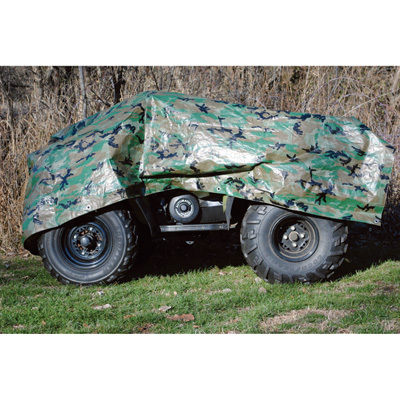 An inexpensive poly tarp will be waterproof, but may tear more easily if stressed by wind or abrasion, and it will break down quickly in the sun if it is not UV protected. Polyethylene tarps are constructed of poly or nylon threads woven in the simple over-under pattern. Once the threads are woven together, a poly sheet is bonded on either side of the woven strands, forming a waterproof sandwich of material which resists stretching and tearing. 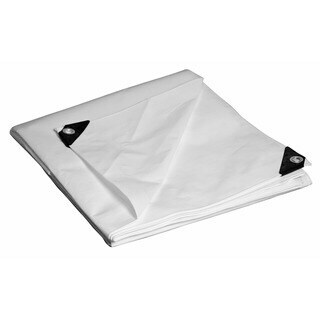 Poly tarps do not use the simple, easily understood measurement system applied to canvas tarps. In addition to the weight in ounces of a square yard of poly tarp material, one must consider the denier and weave count. Weave count is exactly what it sounds like it is: the number of weft and warp threads in one square inch of the fabric. Denier is also exactly what it sounds like it is: pretty much incomprehensible. Denier in this context is defined as the mass in grams of 9,000 meters of polyethylene tarp filament thread. Why 9,000? Probably because 9,001 would be too many. In any case, the important point about denier for poly tarp buyers is that if the denier number on the tarp you want to purchase is high, that means the poly or nylon filament threads within the tarp fabric are heavier and stronger than those in a low denier tarp. Similarly, a high weave count means more threads per square inch. Heavy duty poly tarps have more threads, and the threads themselves are thicker, than those found on lightweight poly tarps. 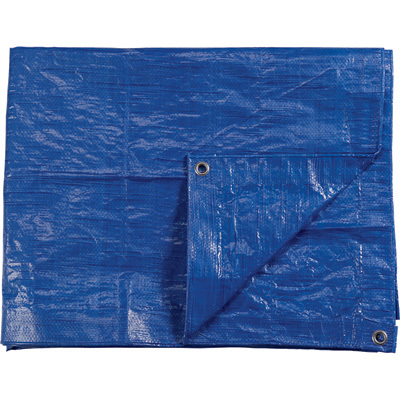 The very common blue tarps, frequently seen used as roof tarps in areas affected by hurricanes, are usually 900 denier and 10 x 10 weave count, weighing 3.5 ounces per square yard. 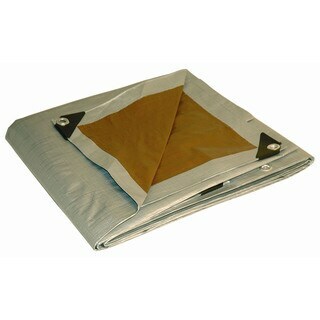 Tarps that need to be tied down should have heavy grommets along all edges spaced at appropriate intervals. Heavy duty silver tarps, also commonly found in hardware stores, are usually 1200 denier, 14 x 14 mesh count, and weigh 6 oz per square yard. 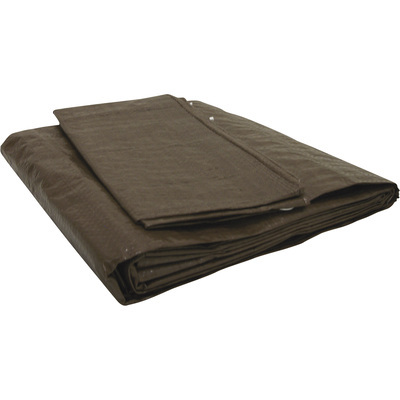 Extra durable heavy weight poly tarps can be found with 1400 denier and 14 x 16 weave count. Another factor affecting poly tarp value is the placement and quality of grommets used for attachment points. 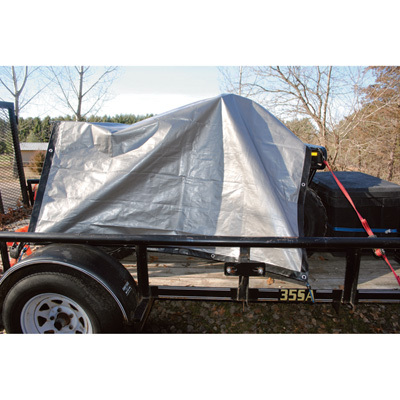 Durable, heavy duty tarps should have heavy grommets spaced every 18 inches along the edge, while less expensive tarps may only have grommets every 3 feet or more. Grommets may be made of brass or bronze or even stainless steel for optimal strength and resistance to corrosion, or they may be plated low-grade steel, which will rust if the plating is compromised. Poly tarps should have reinforced edges with extra layers for reinforcement around grommets or straps. 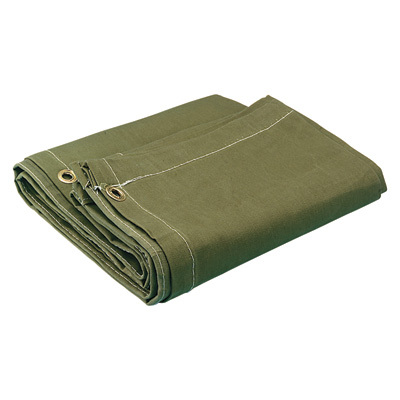 Dize 1000 Denier Polyester Tarp - 6ft. x 8ft. Roughneck 2.3-Oz. 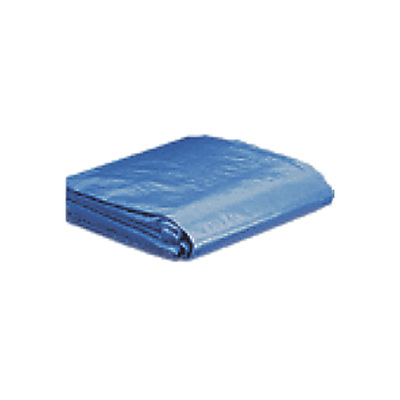 Medium-Duty Poly Tarp - Blue, 20ft. x 30ft. Roughneck 6-Oz. 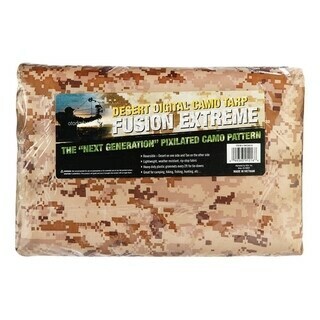 Extreme-Duty Black/Silver Poly Tarp - 12ft. x 20ft. Roughneck 3-Oz. 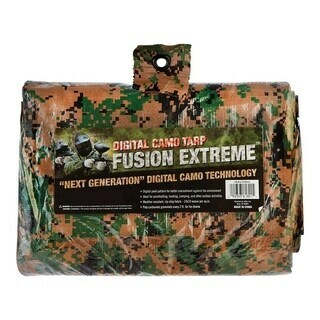 Heavy-Duty Green Camo Poly Tarp - 20ft. x 20ft. Roughneck 3.4-Oz. 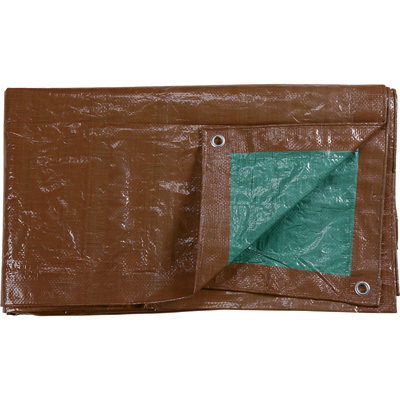 Heavy-Duty Poly Tarp - Brown/Green, 20ft. x 30ft.